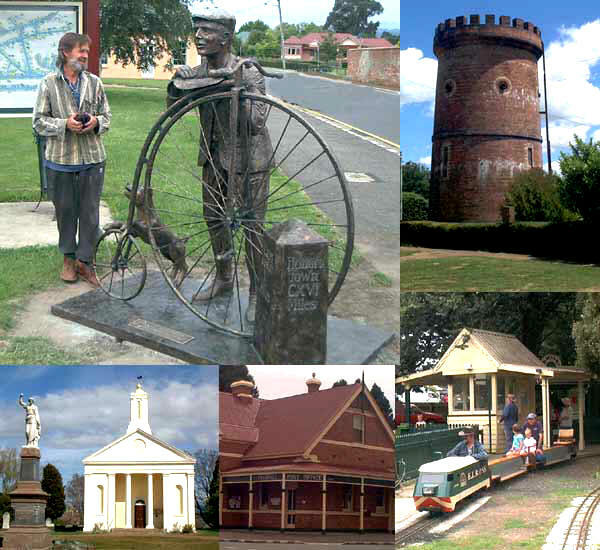 Evandale is another one of those historical rural towns like it's counterpart Richmond near Hobart. Just about every building in the main street has been listed by the National trust. Evandale is 20 km south of Launceston at the southern end of Launceston airport runway. It is a classified historic town, with superb heritage buildings which remain in largely original condition. We happened to turn up when Ron Gaston was putting the finishing touches to his sculpture 'The Time Traveller'. Evandale hosts the Australian National Penny Farthing Championships in February each year. A large market is held in the town every Sunday until 1PM. The miniature train is adjacent to the market. 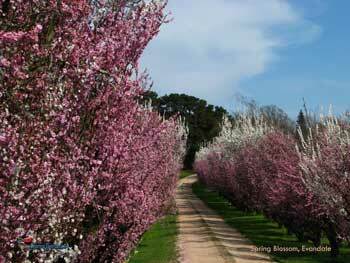 The picture above is Leighton Stud between Launceston airport and Evandale. Right at the southern end of the runway. At it's best the first 2 weeks in September. With a town like Evandale it is imperative to get a copy of Let's Talk About Evandale. This informative brochure, which is free, lists no fewer than 38 buildings and sites of historic in the town and over 70 in the district. The buildings of particular interest in Evandale include the former Presbyterian Manse (1840), a typical colonial building opposite Barclay Street in the town's High Street, 'Blenheim' (1832), a one-time hotel on the southern corner of Barclay and High Street, which was originally known as the 'Patriot King William IV', St Andrews Uniting Church (1840) in the High Street with its classical belltower and Doric columns, and a number of buildings at the intersection of Russell Street and High Street including the Clarendon Stores (1836), an early saddler's shop (1840) and the Prince of Wales Hotel (1836). This barely scratches the surface of the rich diversity of the town. It is sensible to give it about half a day and to wander around accompanied by a good detailed local map. 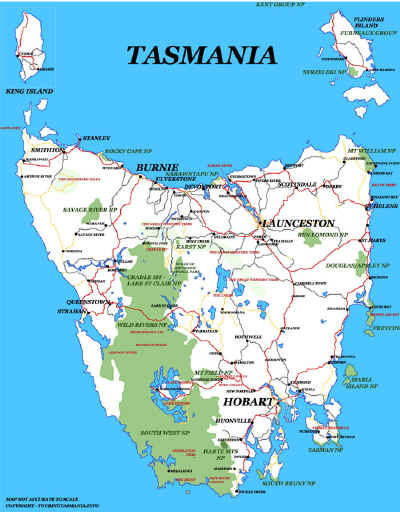 A shorter visit would definitely include a walk down Russell and High Streets which are two of the most attractive historic main streets in Tasmania.